So, if you're anything like me you've seen pictures of those amazing ruler height charts that are all over the internet lately. If you're even more like me, you've probably thought "that would look adorable in my house, and what a wonderful keepsake!" So you go onto the etsy shop page and low and behold, this beautiful unique keepsake decoration costs a minimum of $100! 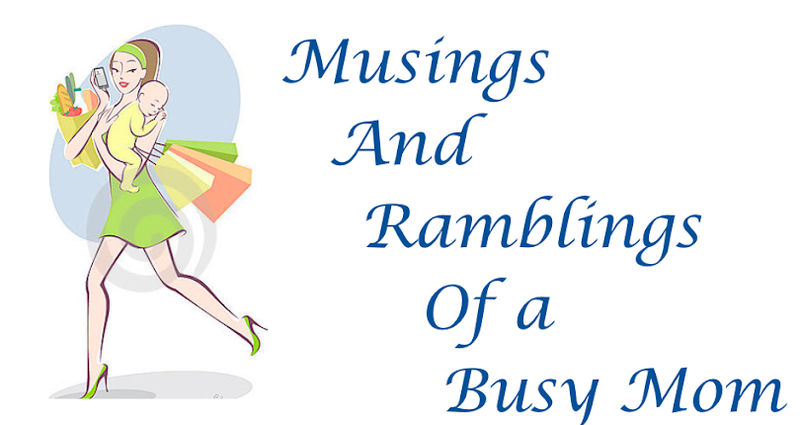 This is about the time that I close my eyes in sadness and step away from the computer before my shopping addiction takes hold. Well after doing this little dance countless times I decided to go ahead and try to make one of these beauties myself...and it was SO EASY and surprisingly CHEAP! Of course I had to do a tutorial to let all of you lovely people out there in on this goodness, so I hope you enjoy! Before you open your stain make sure you shake it up really well so all the pigment is evenly dispersed. Then go and lay a light layer of stain onto the top of your board with your brush. Make sure it's a LIGHT layer, you don't want puddles of stain because that will leave your board blotchy and will make it take longer to dry. This is the stain that I used from Lowe's. Also, note how light my first coat of stain is on my board. After you've painted about a third of the board, take your paper towel and GENTLY wipe away the stain that is still sitting on top of your board. When I say gently I mean, barely any pressure. This is another reason why you want your coat to be light because if there's too much stain sitting on top of the board then you're just going to wipe of the excess and your board will be too dark once it dries. You can see that there is only a slight difference in the color of the area I have wiped off versus the area that still has the extra stain on it. Keep doing this same routine with every third of your board. You don't want to wait too long between putting on your stain and wiping it off because too much color may be absorbed. Now, if you like the color of your board after step 2, you can skip this step and move on top step 4. However, if you feel that your board is a little too light (like I did) then continue here. Once you have your first layer of stain on you can start adding more layers of color. All you have to do is apply the stain on your entire board and then let it sit for 2-4 minutes and then wipe off the excess. Keep doing this (stain, rest, wipe) until your board is the shade you are happy with. Doing it this way will prevent your color from running away with you and getting too dark quickly. Since you put that first light layer on your stain will absorb into the wood slower with each layer, giving you more control over the color. But make sure you wipe off the stain after it has sat for a couple minutes, or your board will be DARK. This is what the board looked like with my second coat before I wiped it off, pretty dark. This is what the board looked like after the stain had sat for about 4 minutes and I wiped it off. It's a lot lighter than when I first put the stain on. I was happy with this shade so I stopped here. But if you want it darker just keep applying and wiping until you're happy. Once you're happy with the shade you need to let the stain dry a little. You shouldn't have to wait too long as long as you've been very light with your layers and wiped the excess off. I waited about two hours with the board outside in direct sunlight. Now comes the fun (and long) part, drawing the measurement lines! The first thing you need to do is look at where you plan on hanging the ruler. Make sure you account for any distance that your ruler will be off the floor. For example, we have 5 inch baseboards in our house, so I needed to make sure I started my first foot on the ruler 5 inches up on my tape measurer. The easiest way for me to do this was to go to the area I planned on hanging the ruler and measure out one foot from the floor using my tape measurer, that's how I found out that my baseboards where 5 inches tall. I then locked my tape measurer and took it to my board. I then placed the tape measurer onto my board with the bottom of my board hitting the 5 inch mark on the tape measurer. I then took my sharpie and drew a small dot at the 1 foot mark. I then placed the bottom of my measuring tape (still locked at 1 foot) on the dot I just made and made another mark at the top of the 1 foot mark (i.e. 12 inches) and that was my mark for two feet up the ruler. I then continued to do these dots at 1 foot intervals until I had all 7 feet on my board. Now you are going to draw the long lines to indicate each foot. I first measured the with of my board which was 8 inches. I decided to make my lines 5 inches long, which would leave enough room for my to write the numbers. It is important that you place your measuring tape slightly ABOVE the dot you have made. You are going to used the measuring tape as a ruler and if it's not above the dot then when you draw your line it will be below your dot and your measurements will be slightly off. Now that your foot lines are drawn you need to draw in your inches. These are going to be 11 smaller lines that are in-between each of your bigger foot lines. All I did to make these was place my measuring tape at one inch (just so I didn't have any risk of going to the wrong inch and having too much space) and putting it on top of my first foot mark and making a small dot. I then moved my measuring tape up to the new dot and then made another dot at the top of the tape. I continued this until I reached the next foot line and then started over again. After my dots where in place I made the inch lines. For this I looked at a real ruler and saw that there was a pattern: two short lines, and then one longer line. So I made my first two lines one inch long and then my third line two inches long. I continued this pattern all the way up the board. After all my lines were in place it was starting to look like a ruler! All that was left where my numbers. Now, if you have a number stencil you like you can use that one. I didn't have a stencil so I made one with my cricut cutting machine and some heavy weighted watercolor paper I had laying around. I used the same cartridge that I used with my advent calendar and had the measurement set at 3 inches with the "real dial size" button on. Once my stencil was made I placed it on the board. The easiest way for me was to place the stencil first so I could see the very end of the foot line at the endue of the number and then pulled the stencil just enough for the line to no longer be in the stencil. I then went and outlined all of my numbers at their respective foot lines. This just made it easier for me so I wouldn't loose track of what I was doing and mess up. I was so afraid to mess up at this point because I'm working with sharpie and there is no coming back from that! Once all of my numbers were outlined I very carefully colored them in with the sharpie. I made sure to go in one long stroke from top to bottom, and not overlap my strokes. This helped prevent any uneven pigment and made it look more like a sticker or vinyl. (Note, you can use vinyl or paint if you want, I was just trying to keep this as low cost as possible, and the sharpie was $1 at the hardware store). 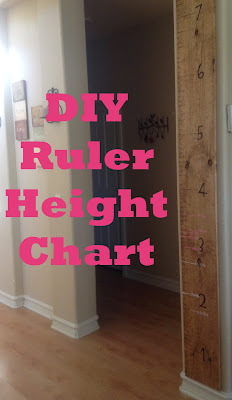 A cheap, fairly easy DIY ruler height chart! I think the entire project took me about 4 hours, including dry time for the stain, which I don't think is that bad considering what I ended up with and how much money I saved! My husband then put it on the wall with four screws (one in each corner) and its completely secured! Fun tip: For those with more than one child, color code your kids heights! It will make the ruler more colorful and save you from having to write out their names or initials each time. We used chalk markers from Michael's I purchased a while ago, but sharpies would work just fine as well. Hope you enjoyed this tutorial, and happy crafting! !